Certain elements of alarm systems are installed in special enclosures. 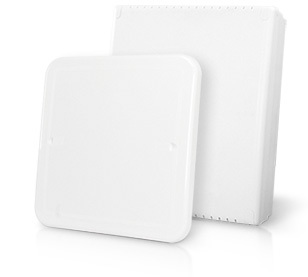 These enclosures are designed to: protect system devices against accidental damage, detect unauthorised access attempts and facilitate organisation of the whole installation. You must remember that an element of the lowest degree of protection influences the degree of protection of the entire installation. While selecting an enclosure for an alarm system to be compliant with EN50131 series standards requirements, it is worth paying attention to a degree of protection ensured by a given enclosure. SATEL offers a number of enclosures used for control panels, auxiliary devices and accessories. The main group of enclosures used for control panel installation includes OMI series metal enclosures and OPU series plastic enclosures. The former are a perfect solution for Grade 3 systems, thanks to their robust metal structure and tamper detection solutions, i.e. detection of opening or removing an enclosure from an installation surface. 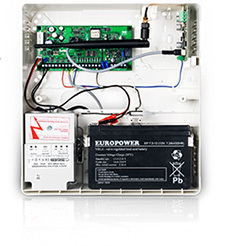 Plastic OPU-3P enclosures are used in advanced systems utilising INTEGRA control panels. Their well-thought-out design facilitates installation of numerous additional devices in one enclosure, simultaneously ensuring easy access for maintenance purposes. 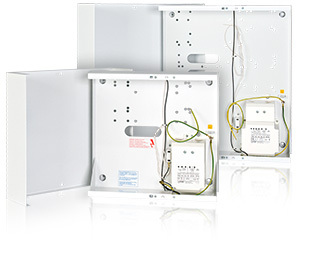 OPU-3P enclosures also simplify wiring management ensuring aesthetic appearance of the final installation. OPU-4P enclosures. They are also made of plastic and come in two variants, i.e. surface and flush mounted. Apart from a control panel, such enclosures may accommodate additional extension modules in dedicated slots. OPU-4P enclosures are standard equipped with special wiring holders ensuring aesthetic appearance of the entire alarm installation. 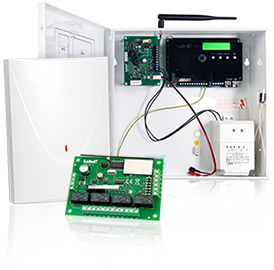 Apart from control panel enclosures, we also offer enclosures for alarm accessories, i.e. 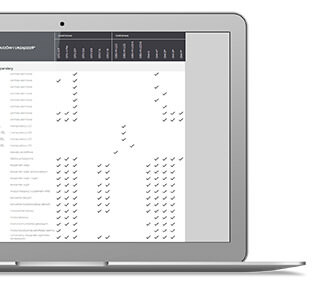 extension modules, communication modules, etc. *Due to the fact that a battery ensuring emergency power supply is an integral element of an alarm system with a backup power supply, you must take into account the maximum capacity of a battery to be installed in a given enclosure. Do you know which devices can be installed in each enclosure?